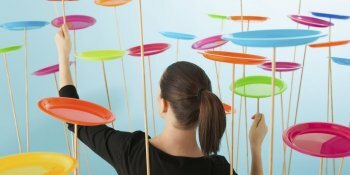 Project managers need a broad range of skills to keep the plates spinning. 1 I communicate what needs to be done by what deadline, and expect the people to whom I assign the work to be responsible for breaking down the work packages into smaller and more manageable pieces. 2 When I choose suppliers, I base my decision on their ability to deliver on time as well as on price. 3 I prepare a specific timeline and sequence of activities, and I use this schedule to manage the overall project to ensure its timely completion. 4 When a project begins, I work with its sponsor to negotiate and agree specific deliverables. 5 Project teams are only temporary, so I don’t worry too much about personalities. I select team members based on the technical skills I need. 6 At the start of a project, I formally outline what, why, who, how, and when with a Project Initiation Document – so everyone can understand how the elements of the project fit together. 7 I consider a variety of cost alternatives when developing my original project budget plan. 8 I outline clear expectations for the project team, and I manage their individual and collective performance as part of the overall project evaluation process. 9 When a project gets behind schedule, I work with my team to find a solution rather than assign blame. 10 I identify as many potential project risks as I can, and I develop a plan to manage or minimize each one of them, large or small. 11 Because projects involve so many variables that change so often, I let the plan develop on its own, as time passes, for maximum flexibility. 12 I use customer/stakeholder requirements as the main measure of quality for the projects I manage. 13 I routinely monitor and reevaluate significant risks as the project continues. 14 I give people a deadline to complete their project work, and then I expect them to coordinate with others if and when they need to. 15 I keep all project stakeholders informed and up-to-date with regular meetings and distribution of all performance reports, status changes, and other project documents. 16 I define specifically what the stakeholders need and expect from the project, and I use these expectations to define and manage the project's scope. 17 Forecasting costs is more art than science, so I include extra funds in the budget and hope that I’m under cost at the end. 18 I present project status information in an easy-to-use and easy-to-access format to meet stakeholders' information needs. 19 Delivering on time and on budget are the most important things for me. 20 When I contract for goods or services, I often choose suppliers based on familiarity and the past relationship with my organization. , which covers the basic project needs and outcomes, so that everyone can understand the project's goals. is also important, because it helps you appreciate how important your project plan is to a successful outcome. and Critical Path Analysis are often helpful. These tools allow you to prepare and manage your schedule for maximum efficiency. requires many tools and strategies, and it's very important to set up a reliable control system to keep track of the costs and required changes.
. By continuously referring to the benefits that the project will provide, you keep client quality at the forefront – and you won't waste precious time and resources trying to achieve an inappropriate level of quality. are important tools for this, as they both force you to consider the needs of the end users. stages that so many teams go through. , you identify who must be kept informed in full, and who needs less intensive communication. This can save you a lot of time, and helps you maintain good relationships with people involved in the project. is effective for capturing the essentials of a project's status. , and decide who is responsible for which parts of risk response. approach to select the best supplier. 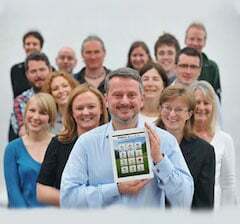 – is very important for dealing with suppliers and getting the in-house resources you need, when you need them. is another important general skill. From resolving conflict within your project team to managing conflict that arises during negotiation, this is a fundamental skill for project managers. And, ultimately, your problem-solving skills are essential. They will not only improve negotiation and conflict resolution skills, but also help with risk management, time management, and quality management. Thank you for your honest and enthusiastic feedback. An amazing resource for honest self-rating. No lies, no tricks. Be sure that after each question you are clicking theNext button to move you through the quiz.